Getting quality links from high ranked and quality website is the most important and required task for your site. Such links which are getting from other sites called back-links. Along with creating quality back-links, how you link your site internally and how you place outgoing external links affects your websites success. 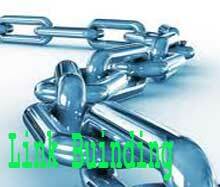 You can achieve this only by applying most effective and successful link building strategies. If you applied any bad methods for creating links, may harm for your online business after. Google and other major search engines may exclude your site from the search results. So in this post, I am telling you what strategies you should apply for successful link building work for your online success. The most effective tips for link building strategies which may be the key success for your website, blog and your whole online business are as follows. The most well known secret for success of any business is their customer’s satisfaction. It also applies for your online business and your site or blog. So try to give most useful and quality content and services for your customer or visitors of your site. If you create the content that can impress your users can automatically generate link towards your site or blog after they shared your content on different social networking sites and blogs. Search engines favorite’s blogs than sites; also they are updated regularly and help to stay in touch to your users or customers It makes easy to know about their views and experience towards your service or contents. So if you have website for your business then also create at least one blog for that. You may create a blog using sub domain or distinct directory of same domain or on a distinct domain. For example, for your domain “mycompany.com” you can use “blog.mycompany.com” or “mycompany.com/blog/” or by using blogging sites like “mycompany.blogspot.com” or “mycompany.wordpress.com”. There are many blogs on the web, which are opening for guest post on their related subject matter. Find some top blogs which are related to your website or blog and request for guest post. Such posting helps your website or blog to promote and you can also create backlinks to your site. You can promote your website or blog by commenting on the blog post which is related on your subject matter by placing your links on the comment. But I want to strongly recommend that do not spam while placing links on the comment. Your link should be seen natural on the comment. Social bookmark is the work of saving bookmarks to a public web site. You can use social bookmarking sites and services for placing links. Top social bookmarking site not only helps for generating more traffic to your site, also help to get quality backlink from there. But avoid to excessive use of those sites, this may harm your sites quality. Post only some important links not all of yours. Today social networking sites like FaceBook, Twitter, Google Plus etc. became most popular for sharing our knowledge and files. So effective utilization of these sites may positively impact your site, which is better than using social bookmarking sites. There are lots of article directories for the purpose of posting and sharing user’s articles. You can submit your articles to top article directories such as ezinearticles.com and articlesbase.com. The article that you are posting on those sites can also place your own links to the article body or on the author bibliography. Web Directories places the links of websites or blogs in the different categorized view. You can submit your sites link on the related categories. There are lots of free as well as paid web directories. Submitting links on the low quality directories may negatively impact your websites value, so only try to submit your site or blog on the highly ranked quality web directories. If you have something newsworthy articles that other media will be interested in publishing that, you can submit a press release online and get the news out there. 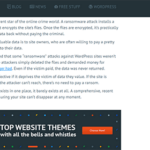 You can promote your site by placing some permissible links on the publishing news article. While linking your site from other sites or creating internal links within a site may be generated some broken links, which may decreases your site’s value and may give negative users experience. So find your internal and external broken links by using one of the best broken link checker tool and remove that links from the search engine cache and results by using Google URL removal tool. You can create RSS feed for your blog by using Google feedburner service and distribute that for subscribed users. If anyone subscribed that or uses that RSS feed on their sites for newsletters automatically increases links towards your site. Forum posting is also one of the most important links building strategies. You can post comments on the related topic with your link or you can start new thread by registering on any top forum. It is also the best and easy way of getting .edu or .gov links to your site. But do not register on extra large number of forums where you don’t go regularly and do not post links in excessive amount which may seem to spam. Creating hundreds or thousands of links by using a link building service may result of getting many low quality backlinks to your site. It may get negative impact to your site’s quality and on the search results also. So be careful while buying links from link service. Try to make keyword rich links as far as possible. You should be careful while creating internal links and must use suitable keyword in the anchor text. For example link should be as like “….you can use the keyword research tools ……” but do not use like “…… to get list of keyword research tools click here….” You should also use such technique while creating link in blog commenting, forum posting, article submitting etc.